This of course would only make Russia's actions dishonest or dangerous if groups trained by the US CIA were in fact the "moderates" the US claims they are. However, they are not, and thus Russia's actions are duly justified as is the expansion of their current policy. For months now, after years of headlines confirming the US has been covertly arming militants in Syria for the purpose of overthrowing the government in Damascus, a narrative revolving around tens of thousands of these militants "defecting" to Al Nusra and the so-called "Islamic State" (ISIS/ISIL) has been peddled to the public by the Western media and US politicians to account for the apparent failure of America's alleged policy of creating an army of "moderates" to both fight ISIS/Al Qaeda and the Syrian government. In reality, from the beginning, there were never any moderates. Starting as early as 2007, years before the war in Syria began, the US as a matter of policy had long since decided to intentionally fund and support the Syrian Muslim Brotherhood - for all intents and purposes the political wing of Al Qaeda - and begin arming militants affiliated with Al Qaeda itself. By 2011, Al Qaeda's affiliates in Syria, most notably the Al Nusra Front, began operating nation-wide, taking the lead in the US-backed fight against Damascus. By 2012, when the US State Department listed Al Nusra as a foreign terrorist organization, it was clear even then, that the largest contingent of anti-government forces on the battlefield was Al Qaeda. It is clear that Al Qaeda was not only involved in the conflict since its beginning, but also led it. This betrays current US rhetoric that Al Qaeda had only entered the fight later on, seizing on the chaos created by "moderates" and their fight with Damascus. It is clear that it was Al Qaeda itself that drove that chaos from the beginning, and is still driving this chaos to this day. To explain how America's fictional "moderate" army has been displaced on the battlefield in Syria by Al Qaeda and ISIS, the US claims that its multi-billion dollar nearly 5-year operation has suffered from massive defections. What this news, admitted to by the West itself, of these US-backed "moderates" joining Al Qaeda's ranks by the thousands proves is that at the very least America's policy of building up a moderate opposition has failed entirely. 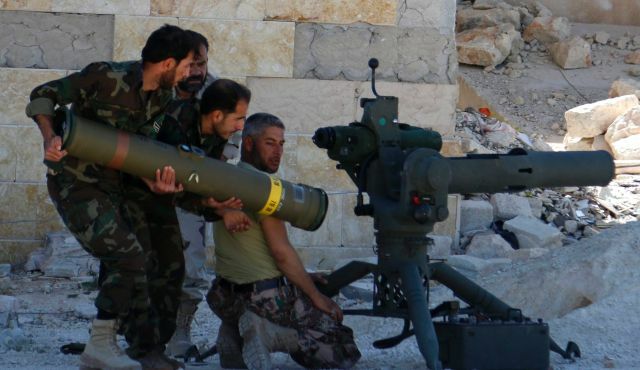 What documented evidence stretching back as far as 2007 proves is that the US had no intention of building up a moderate opposition in the first place, and news of "defections" are simply cover for the direct funding and arming of Al Qaeda and ISIS in Syria. This leads back to the most recent New York Times article. Russia is not arbitrarily bombing "moderates" backed by the US in Syria to stave off allegedly "legitimate" opposition to the government in Damascus - Russia is bombing terrorists who are either operating under the banner of Al Qaeda but are portrayed as otherwise by the US, or will inevitably end up turning their fighters and weapons over to Al Qaeda. 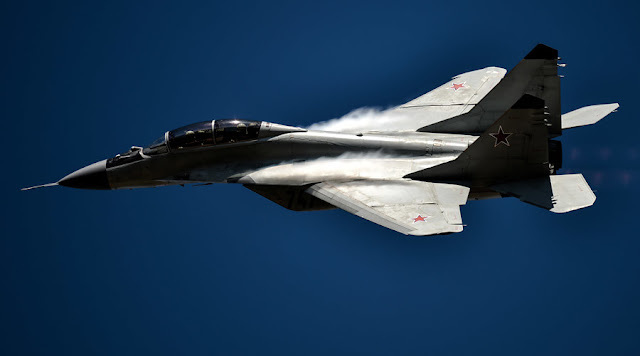 Russia is bombing Al Qaeda. Indeed, Russia is undoubtedly bombing militants supported by the United States, but that is only because the United States has intentionally supported Al Qaeda and ISIS in Syria. At any time if the United States truly wanted to strike an irreparable blow at ISIS forces, it could simply seal off the Turkish border across which the summation of ISIS' supplies, fighters, weapons, and vehicles flow. By securing the Turkish-Syrian border to the north, and the Jordanian-Syrian border in the south, the United States could strangle ISIS out of existence in a month, if not sooner. Image: It is abundantly clear that ISIS' supply lines lead out of NATO-member Turkey and that Syrian and Kurdish forces are desperately trying to seal off the Turkish-Syrian border to stop them. 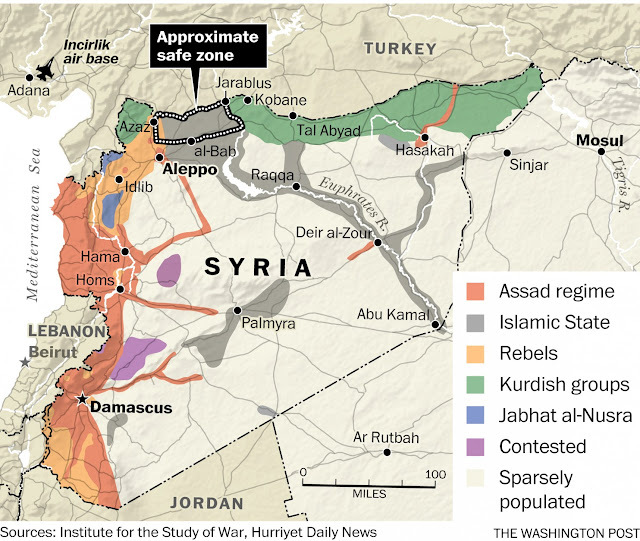 Note that the proposed US-Turkish "safe zone" in Syria would be located and protecting the remaining ISIS supply corridor into Syria. That it has intentionally allowed ISIS supplies to flow out from under the nose of its allies and its own military forces stationed both in Jordan and in Turkey, indicates the the US at the very least is tacitly perpetuating the existence of ISIS - but most likely is actively involved in filling the trucks bound for ISIS in Syria as well. US Secretary of Defense Ashton Carter claims that the Russian position is "doomed," in what appears to be a pledge by the United States to resist Moscow's attempts to stamp out Al Qaeda groups in addition to taking on and eliminating ISIS.